to get the word out about causes and brands . In other words, we want to get as many followers as possible, serving, developing and delivering third party content together with our own. The two are mostly used together to provide that material our followers are following us for. Meet Standards of Quality : we look for the headline as well as a piece of content; it is the way our post looks. If it looks good and it is engaging, then people will read it. When planning our posts, we must see things through the eyes of the consumer and produce an eye-catching piece we would like to see when clicking on a page. Where can we get that third party content we are looking for? The Internet is full of very interesting material no matter what industry we work in. 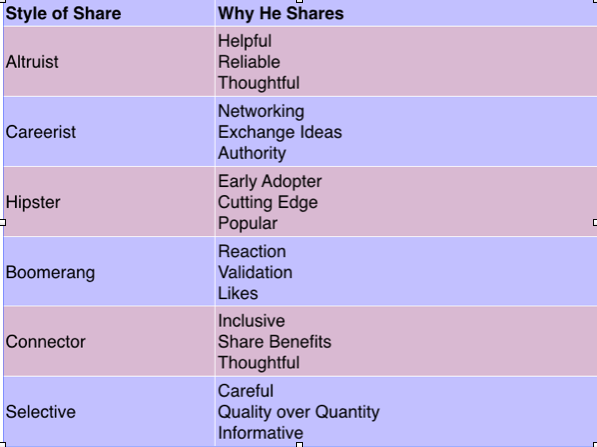 Tools like Google and Youtube are crowded with stuff we can use and share. If we look for an industry leader, they will be there as they have chosen to be visible on the net on multiple platforms. Once we start to follow the right blogs, things will come up and we will find almost everything we need. Use tools to bring the best & timely content to the top. Buzzsumo, for example, is a fascinating tool. It searches the web for content that is trending and that has been shared on socials like Facebook,Twitter or Instagram, just to name a few. Filters can be applied to it so they can show, for example, what has been published in the last two hours, in the last few days and so on. Automatic filters can also be created as well as new search categories. Another useful tool is IFTTT (If This Then That) which is a free automation web-based software. By signing in, we can connect different channels and if something happens on one channel, it can be easily forwarded to another one (if somebody clicks "favourite" on Twitter an email containing the URL and the link of the person that clicked is automatically sent to our e-mail address). Facebook is also very much used to find third party content. To create a list, we need to go to the Home Page, choose Friends (on the bottom left of the page) and click +. From there we create our list of names of friends and pages that share stuff that is interesting for our activity. There is also a new unique way to share third party content so that people will come back to our page. This is done through Snip.ly. Snip.ly is like an oven where we bake all the different parts together: destination third party URL as well as the content of our own that we want to use. 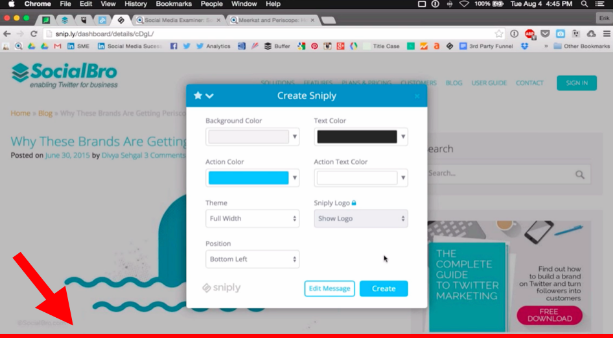 We copy the URL of the third party content and we paste it into the "create snip" box. Once we hit "create snip" we can choose how our snip is going to appear on the third party page. It can be a link, a button, a form or a picture. It is advisable to choose "button" as it stays small. 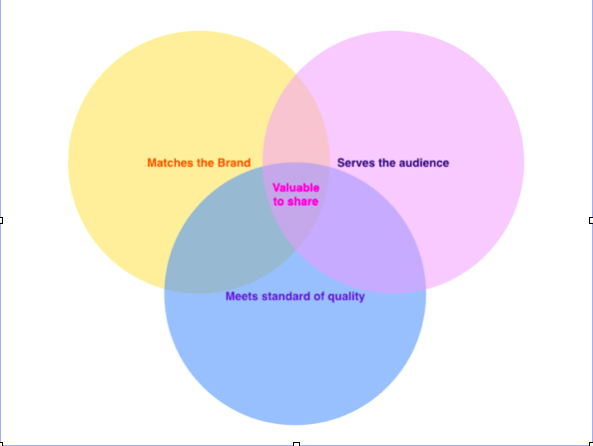 A good balance of original and curated content depends on the brand and on the numbers of followers we have. Normally, when we know how many times we are posting on the different accounts, it is advisable to space out our own content with the third party one's. Giving a ratio, 60/75% of the material published should be our own whereas the rest is somebody else's. Moreover we do not need to ask the original author for authorization to re-share using Snip.ly as we are helping other people by sharing their content, driving traffic to their website. Use strategic content matching ( Buzzsumo or Snip.ly to add higher impact on what we are sharing). To learn more in-depth techniques go to our Content Marketing Course.